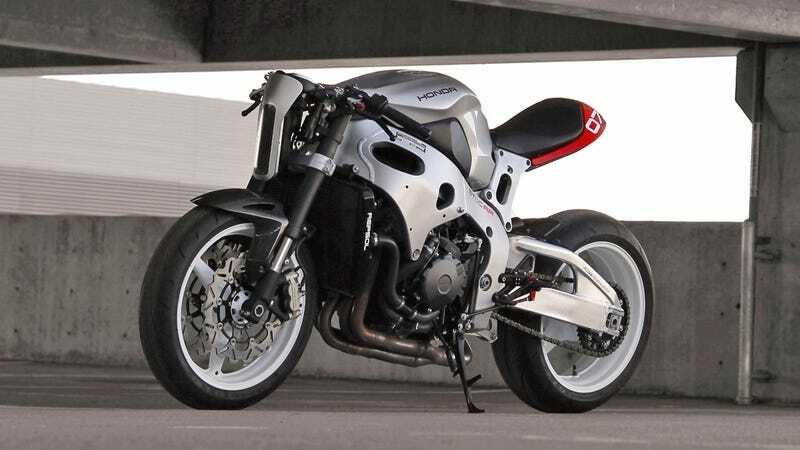 One of my favorite custom bikes of the year was a Kawasaki ZX7 Ninja built by San Francisco-based industrial designer Bill Webb. It's not exactly your standard custom fare, but that's why I liked it. Now Webb is back with a kit that completely transforms the Honda CBR1000RR into a road-going mech warrior, and it doesn't require a single weld to put together.